Puppy mills – no thank you! 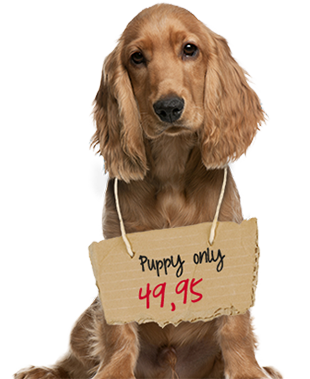 The Work Group Puppy Trade was founded in 2011 with the goal of raising awareness, both in the general public and amongst politicians, for the problems associated with the growing puppy trade and its consequences. In addition to the serious problems that exist in the breeding and the subsequent transport of the young animals, the puppy trade also leads to further dangers that are caused by the imported dogs once they are grown. Due to their poor socialisation and the exceedingly early separation from their mother and brothers and sisters, these animals are often problematic when they are grown. In addition, these animals also bring infectious diseases with them that were previously unknown here or which had already been eradicated. The Working Group is made up of leading organisations and experts from the areas of animal welfare, breeding, ethology and epidemics control. Furthermore the Working Group is being supported by the expertise of Dr. Barbara Schöning, specialist for ethology und animal welfare, and Prof. Dr. Uwe Truyen from the Institut für Tierhygiene und Öffentliches Veterinärwesen (Institute for Animal Hygiene and Public Veterinary Medicine) in Leipzig. The Working Group is an initiative of VIER PFOTEN - Stiftung für Tierschutz, TASSO e.V., Verband für das Deutsche Hundewesen (VDH), Bund gegen Missbrauch der Tiere (bmt), Gesellschaft für Tierverhaltensmedizin und -therapie, Tierärztlichen Vereinigung für Tierschutz and Deutscher Tierschutzbund. Furthermore the Working Group is being supported by the expertise of Prof. Dr. Uwe Truyen from the Institut für Tierhygiene und Öffentliches Veterinärwesen (Institute for Animal Hygiene and Public Veterinary Medicine) in Leipzig.